LATISSE is a topical solution applied once daily to the eyelids for 16 weeks to promote eyelash growth, thickening, and darkening. LATISSE is a prescription treatment for hypotrichosis, the medial term for inadequate or not enough eyelashes. It must be prescribed by a doctor, and is not a cosmetic solution for anyone desiring thicker eyelashes. The active ingredient in LATISSE, bimatoprost ophthalmic solution, works by affecting the growth (anagen) phase of the eyelash hair cycle, which increases the length of eyelashes and the number of hairs grown. A clinical study of LATISSE's effectiveness was conducted across the country including 278 participants. The study showed that after completing the 16-week process, 78% of participants showed differences in their overall lash prominence, including thickness, length and fullness. LATISSE is the first and only FDA-approved prescription treatment for inadequate or not enough eyelashes. LATISSE is quickly gaining credibility and popularity. In its first year alone, about 1.5 million bottles of LATISSE were prescribed. LATISSE is applied topically with a sterile brush once daily to the base of the upper eyelashes. It is very important not to apply to you lower lid, because excess hair growth outside the treatment area may occur. 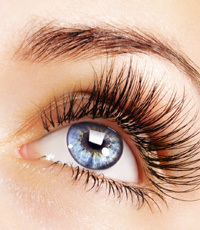 LATISSE should not be applied in the eyes, but if contact occurs, you do not need to rinse. Because LATISSE is an ophthalmologic solution, it is not expected to cause any harm to the eye or vision. Most LATISSE users notice lash growth within 4 weeks of treatment, and achieve full results after 16 weeks. The growth and thickening is gradual over time. One LATISSE kit costs about $120.